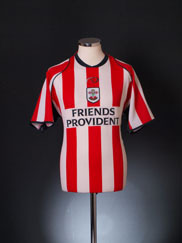 Formed in 1885 as St Mary's YMA, Southampton have been sticklers for tradition since day one. 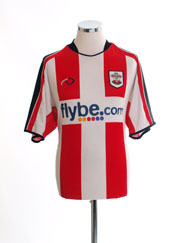 Their first kit consisted of a white base with red sash stripe from the left shoulder across. 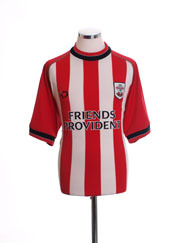 They were known to play in red and whie quarters from 1889 to 1894. 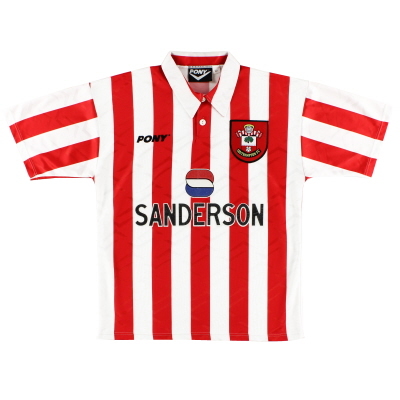 When they eventually changed their name to Southampton, they adopted red and white stripes, the same as the one's that we know today. 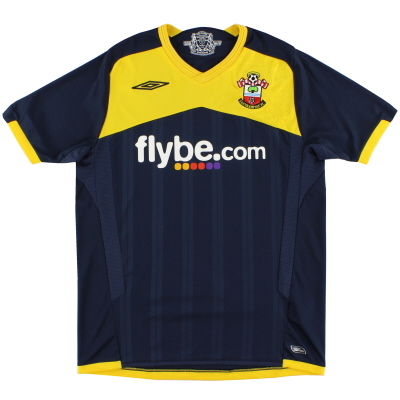 The only difference to their kit was the colour of shorts and socks, which were a navy blue all the way up until 1950. 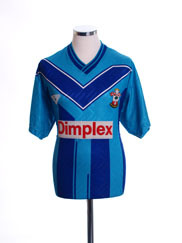 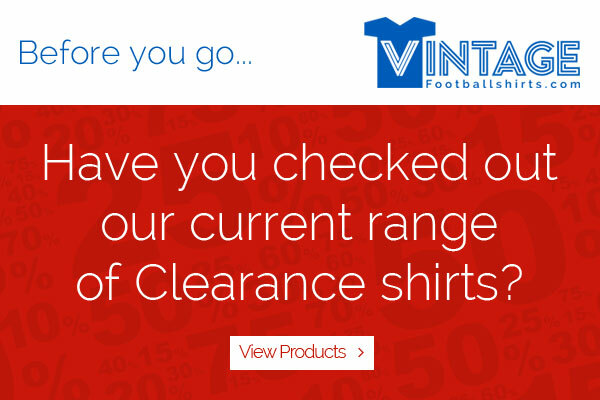 The Saints' first kit supplier came in 1974 as Umbro arrived at the Dell. 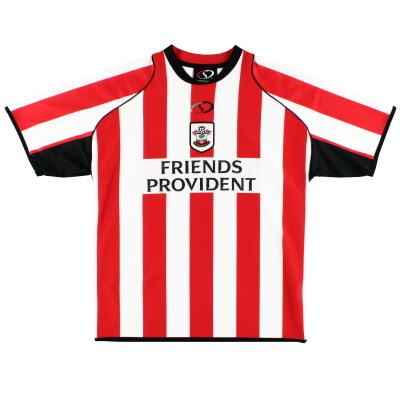 They spent two years together before Admiral took over the deal for the next four years. 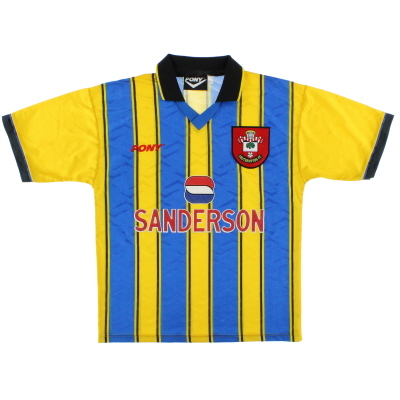 Over the years the likes of Patrick, Hummel and Pony would supply the South Coast side. 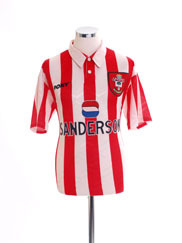 The first sponsor on a Saints shirt was Rank Xerox in 1980 and since then they have had eleven different sponsors. 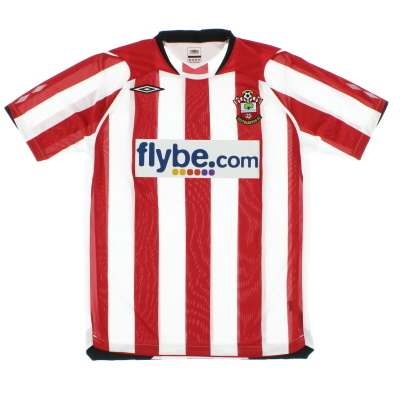 Their latest sponsor is Virgin while iconic companies include Flybe and Friends Provident. 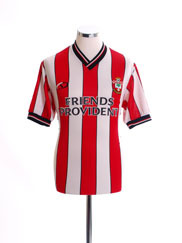 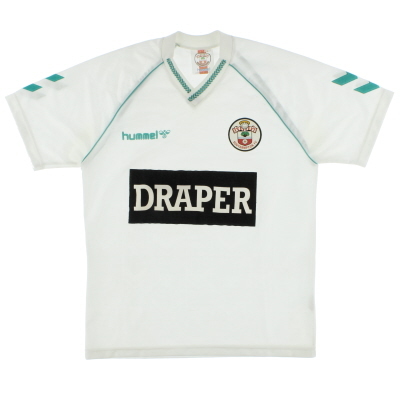 Iconic shirts worn by Southampton includes the 1976 away shirt, designed by Admiral as they beat Manchester United in the FA Cup Final at Wembley. 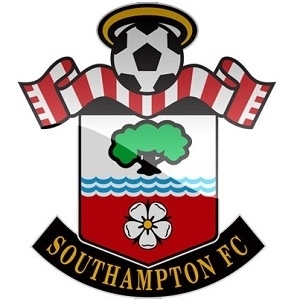 Their only major honour thus far. 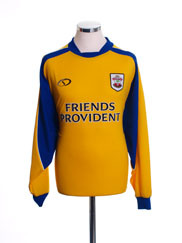 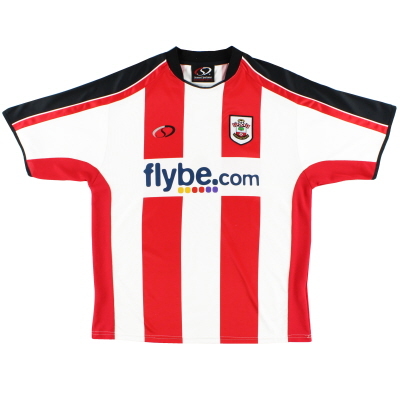 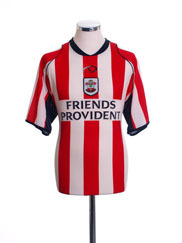 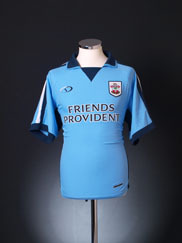 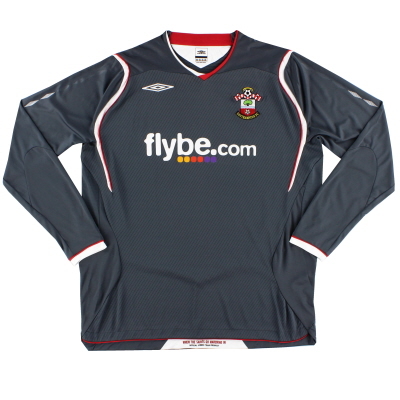 In 2010/2011 they wore a re-make of the clubs original colours to mark their 125th anniversary season.